According to recent statistics, smartphone users spend 90% of their online browsing time using apps, with just 10% spent typing queries into search engines. This may seem like a staggering statistics, but believe us it’s true – and increasing all the time! Not only that, the average mobile user downloads eight or more apps per month. However, many users loose interest over time, which is why it’s paramount that your app content is engaging, informative, and speaks to users. One surefire way of not just piquing but keeping the attention of users is to offer them is to think of a mobile phone as a magnet for customer attention and retention. Receipt capture – and OCR in general – will help you to drive your business forward. Unsure how? Here are four ways that OCR can help FMCG brands to boost their marketing campaigns. Every day consumers are bombarded with advertisements designed to draw attention, communicate and persuade. Just look around the next time you’re in a crowded place, the smartphone has grown to be an extension of our arms. Brands use this to appeal to customers 24/7. The best example of how brands can drive customer engagement in the FMCG context is a loyalty campaign. Allowing customers to scan voucher codes with their phones is convenient, engaging and will promote interest in your brand. Not only that, its super easy and fun! Why not create a hashtag scanner campaign whereby customers scan product codes as hastags when they’re out and about? Strategically place hastags on billboards across a city allowing participants to take a picture, tweet or post it to receive rewards! Like using mobile receipt scanning API, this is easy, fun and will turn clients on to your brand. Happy and engaged customers are loyal customers. They will continue to buy your products and will grow into brand advocates, spreading the word of your prowess to friends and colleagues. Offering services like receipt capture is one trusted way of turning sometime customers into frequent customers. Why? You’re offering them something that they can’t get anywhere else. A brand is a set of customer expectations, relationships, stories and memories all mixed together. Maximise each of these elements and you will maximise your brand. More importantly, customers will be prepared to pay that little bit extra for your products and services because they believe in you – and what you can do for them. In implementing OCR technology into your mobile app, you can receive detailed documentation on the usage and scan behaviour of customers. This allows you to learn more about your customers and evolve your service to meet the needs of your customers! Why is this great? Well, you can tweak any forthcoming marketing campaigns and functionality to better fit the needs of your core customer demographics. Learning the date and time customers buy your products or how many times they engage with the app to browse products and services allows you to collect valuable data and gain a huge insight into the success of your products and services. What do you want your brand to say about you? Do you want to be like everyone else or do you want to stand out from the crowd? Employing cutting-edge technologies, like receipt scanning API will put your brand ahead of the competition. New and existing customers will want to engage with brands that personify innovation and value. They’ll want to get to know you! Something new and exciting always attracts attention – and will get people talking about you. Innovation is a priceless USP, and if you combine this with value and a customer-centric ethos, you’re on the fast track to building and maintaining a brand image that will inspire long-term loyalty. So, there it is. 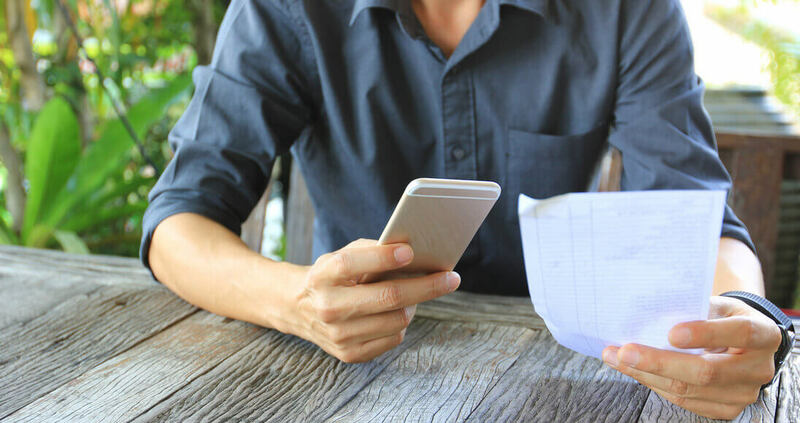 Four reasons why you should be employing mobile OCR and receipt capture technology. Perhaps now’s the time to think about evolving your brand services – and growing your business!